Wealthtech Sova Capital Prime Services has chosen Iress as its third-party Order Management System (OMS), as well as its post-trade processing and middle office technology provider, reports Jane Connolly. The front-end technology will feed all trading data into Sova Capital’s back-office system, Calypso and onwards to the firm’s proprietary owned back-office reporting tool, “Sova smart”. During a due diligence process that began in Q3 of 2018, Sova Capital considered multiple potential vendors before selecting Iress. 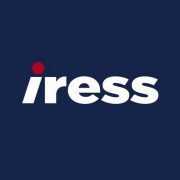 Iress will provide multi-asset, multi-market risk and order management capabilities for all developed markets across the US and Europe. From a client Execution Management System (EMS) perspective, Sova Capital will remain EMS-agnostic and continue to work with a variety of EMS providers.